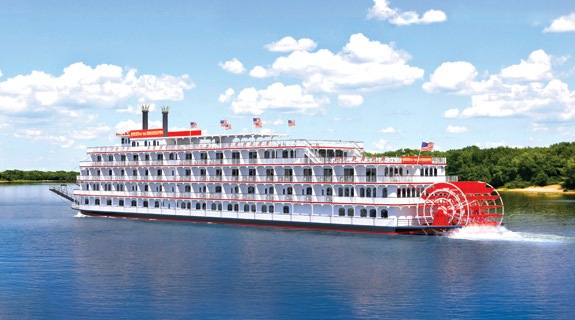 American Cruise Lines offers small ship cruises along the inland waterways and rivers of the United States, including the Mississippi River, New England, Pacific Northwest, and Alaska. They operate American built, flagged and crewed ships. American Cruise Lines was originally formed in 1974 but it went bankrupt near the end of the 1980s, at which time the ships were sold off. In 2000, the original owner, Charles Robertson, revived the company with new coastal cruise ships built on Chesapeake Bay. In May 2016, they launched another paddlewheeler, named America. During the same period they renamed their Queen of the Mississippi paddlewheeler to American Pride and moved her to the Pacific Northwest. 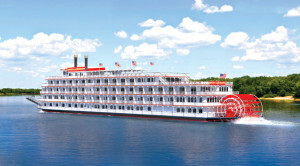 Then they renamed their coastal cruise vessel from American Eagle to Queen of the Mississippi. In May 2017, their coastal cruiser, American Constellation made her debut with her sister scheduled to make her maiden voyage in April 2018. Also in 2018, they will be introducing the first of five in new series of river vessels. The American Song will be a 3,000-ton vessel carrying 200 passengers. It’s maiden voyage is expected to be in October 2018 with sister vessels to join the fleet in 2019, 2020, 2021, and 2022. They have an all American crew with positions including Steward, Deckhand, Dishwasher, Sous Chef, Food Service Manager, Cruise Director, Housekeeping Manager, Hotel Manager, Licenced Launch Operator, Mate, and Captain. American Cruise Lines heavily recruits through American colleges and an internship program that is detailed on their website. Interested applicants may fill out an application on their career website. Their recruiting team will review your submission and, if selected, a recruiter will contact you regarding the next steps.